What is going on here? And where is the bacon and ranch? 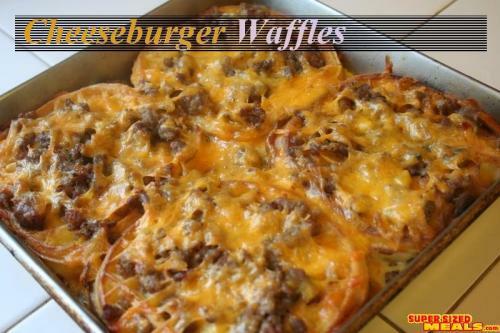 cheeseburger and waffles…..that’s crazy! and delicious….crazy delicious! I think I just barfed a little in my mouth. Oh god, there not even the good type of waffles. I think Im having a heart attack just thinking about it. I’d snarf me down some cheeseburger waffles! Perfect cure for the drunk munchies. Om nom nom nom yes. Please send me this delicious creation from your infinite wisdom…and ranch. AMEN.